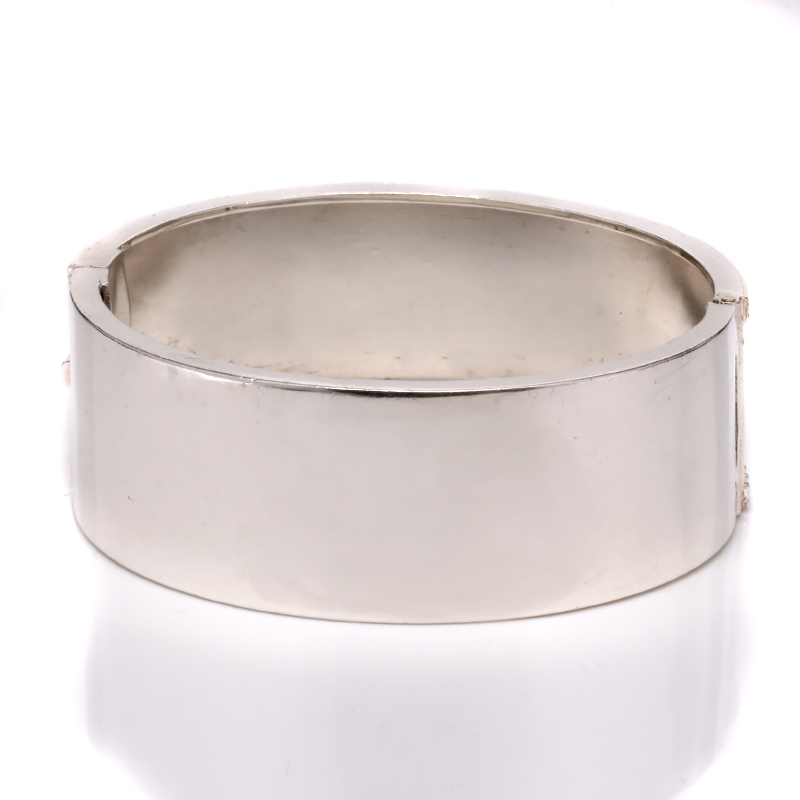 Product code: ES6257 Categories: Sold Items, Sold Jewellery. Perfect for day or night, this antique sterling silver bangle with rose and green gold will always look so good and the design is so unique and attractive and will certainly always be admired. Dating from the Victorian era of the 1890’s, the bangle measures 22.3mm wide and being hinged allows it to sit nice and close to the wrist and is so comfortable to wear all day and night. With an elegant design across the top, this is highlighted with rose and green gold. Green gold was used for a brief period during the late Victorian era and has a lovely soft green hue which was often used for leaves as can be seen here in this bangle. Such a unique and beautiful bangle form the Victorian era, this is still in superb condition and looks amazing even well after 100 years.